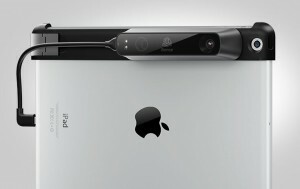 3D Systems has announced that its iSense™ 3D scanner for iPad is immediately available for pre-order with shipments to commence in the second half of July. Previewed at the 2014 Consumer Electronics Show, the iSense is ideal for physical photography on the go, empowering users to easily capture and readily 3D print their memorable moments. Powered by 3DS’ popular Sense 3D scanning software, the iSense scans wirelessly in seconds for an easy capture experience.